She also doesn't share the fact that she herself has started to hear voices, voices that say disturbing and alarming things. And Alison, just eleven years old, almost the same age as when Carole's mother was taken from her, is coping with both the challenges of impending adolescence, and the confusion of her mother's increasingly strange and distant behavior. The setting is rural Vermont, and events stretch from before the Great Depression through to the 1970s. It takes us from a time when both gender relations and the understanding and treatment of mental illness will seem shocking to modern readers, to a time when the roots of our contemporary social mores and a more science-based and medically objective treatment of mental illness was developing. This is a moving looking at an imperfect but loving family, and how the shadow of mental illness challenges them. 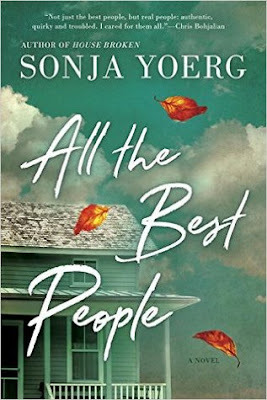 Yoerg is a humane and insightful writer, and tells a difficult but ultimately hopeful tale.